On November 29, 2011, Detective Michael Thomas answered the call when 44-year-old Tom Kolman was found dead in his car. It was in the Kingston Planet Fitness parking lot in Ulster County, New York. “There was nothing in the car that would suggest anything of him being attacked, or anything obvious of physical trauma,” said the detective. 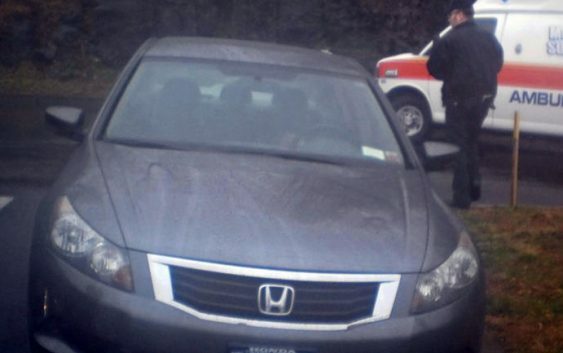 The car’s location caught the attention of fellow Detective Brian Reavy and Lt. Kyle Berardi. In Colorado, 1,800 miles away, Tom’s ex-wife, Michele Kolman-Weber, couldn’t believe that Tom, who seemed healthy, had died. Michele and Tom had been divorced for 12 years, but they remained close. They had two children – Jillian, who was then 15, and Bradley, who was 17. She had to tell the kids their father was dead. “I didn’t know how I was going to say it, so I just figured just get it over with,” said Kolman-Weber. “You heard the words …” Schlesinger said, addressing Jillian Kolman. Tom’s mother, Marie, and father, Tom Sr., were proud of their son who had a doctorate in physical therapy. “You’re raising somebody and you have hopes and they fulfill those hopes and they become successful it’s great,” said Tom Kolman Sr.
Tom Kolman was more focused on spending time with his family than with friends, but he did have one very close friend: Gilberto Nunez. Nunez was going through a divorce, but was still a devoted father. He met the Kolman’s at their kids’ school. Soon Tom, Nunez, and Tom’s wife, Linda all grew close. It was Linda who found Tom. After she learned he didn’t show up for work, she went out searching. Linda knew that Tom went to Planet Fitness most mornings, so that’s where she went. And it’s where Gil Nunez went when he said he heard something bad had happened. “When he initially got there, he ran towards Tom Kolman’s vehicle, saying, ‘What happened? What happened? He’s my best friend,'” said Det. Thomas. “I didn’t see anybody trying to do CPR, I didn’t see anything going on. So, I’m like, ‘Why? What’s going on? '” Nunez told Schlesinger. This is the first time Nunez has publicly told his story. “That’s when I found out that, ‘Tom is dead.’ There is nothing you can do for him,” said Nunez. Detective Thomas says Nunez dropped to his knees. “I was really upset that, you know, my best friend was dead,” said Nunez. “Did it seem overdramatic to you?” Schlesinger asked Det. Thomas. “Overdramatic. Absolutely — 110 percent,” he replied. Gilberto Nunez is originally from the Dominican Republic. He is well known in Kingston. He’s a volunteer firefighter with a thriving dental practice. “Dr. Nunez is one of the best dentists that I’ve ever worked for,” said Mary Ellen McManus, who spent 13 years as Nunez’s dental hygienist. “I have never heard him raise his voice … be angry or fly off the handle,” she said. But detectives had questions about Nunez. They were still waiting for the final autopsy results, but they remembered something from the day they met him. He arrived at the scene in a white SUV. And, they believed, that surveillance footage, though very blurry, also showed a white SUV. “Bells and whistles went off,” said Det. Thomas. It’s very hard to see in the image, shown above, but Tom’s car is next to the white SUV in the nearly empty parking lot. So, police called Nunez in for an interview three days after Tom’s death. “At that point it was an informational meeting … kind of seeing … what he wanted us to know,” said Det. Thomas. And he wanted them to know a lot — especially about his love life and Tom’s wife. Gilberto Nunez: I don’t know if you guys know but, anyway, me and Linda have– we had a relationship, so. Police: OK. Sexual relationship, I’m assuming? Police had heard rumors of an affair between Nunez and Linda Kolman, but they hadn’t confirmed anything. It turns out they got all the help they needed with that, from of all people, Nunez himself. “I fell in love with his wife and she fell in love with me,” Nunez told police. Police: When was the last time you were with Linda? Gilberto Nunez: Like, meaning, like intimately or — just to console her? Gilberto Nunez: Intimate. Well, like, I don’t know, two-and-a-half, three weeks ago. “This was a guy who was sitting with detectives saying, ‘Oh, by the way, I had an affair with the wife of the dead guy’?” Schlesinger asked the investigators. “So that seems to me, anyway, to be — to be unusual. Am I wrong here?” Schlesinger asked. “Yeah. This is very unusual. Yeah,” said the detective. “I didn’t want to like keep something that I knew they were going to find out anyway, first, to begin with. And, second, it would make me look like, you know, I’m not being honest with them about anything I’m saying to them,” said Nunez. “Did it bother you that she was married?” Schlesinger asked. “I guess at the time, no,” said Nunez. “That is really awkward,” Nunez agreed. It might have been awkward, but it didn’t stop Nunez or Linda. When they weren’t together, they texted constantly — more like teenagers than middle-aged lovers. “Did you urge her to leave her husband?” Schlesinger asked Nunez. “48 Hours” wanted to ask Linda Kolman about her relationship with Tom and Gil Nunez, but she declined our request to be interviewed. Nunez says the affair was going well — and kept going –even after Linda’s husband, the man he called his best friend — learned about it. “That’s not my definition of a best friend,” said Det. Thomas. How did Tom Kolman hear about it? That is one of the most peculiar parts of this case. “I wanted to talk to him so I can explain to him that this is not something that I plan on … It was just something that happened,” said Nunez. Chances are pretty good you’ve never heard of an affair quite like the one Dr. Gilberto Nunez was having with his best friend’s wife, Linda Kolman. For one thing, Nunez wanted to tell his friend, Tom Kolman, all about it. “How did Tom Kolman find out about the relationship?” Schlesinger asked Nunez. “Through me, actually he found out,” he replied. Not quite directly. In July 2011, Tom and Linda Kolman both got text messages from a number neither of them recognized. The messages told each of them that the other was having an affair. The one saying Tom was cheating was a lie; but, of course, the one saying Linda was cheating, was the truth. “So they figured out all of these messages were coming from the same phone,” Schlesinger noted to the investigators. “Yes, they did,” said the detective. “And who had that phone?” Schlesinger asked. “Gilberto Nunez,” said Det. Reavy. The unknown number was a burner phone that belonged to Gil Nunez. He admitted sending the texts. He said he was feeling guilty about the affair and that’s why he told Tom. “How did he react to that?” Schlesinger asked Nunez. Not surprisingly, the friendship was damaged. “I felt horrible because I was like he actually, he was my friend, you know. And I don’t have too many friends,” Nunez explained. A few days later, Nunez says he went to beg Tom for forgiveness. “I actually got on my knees and I said, ‘You know, I’m really, really sorry,'” said Nunez. “You got on your knees literally?” Schlesinger asked. “Is that the reaction you expected?” Schlesinger asked. “No, I thought he’d hit me,” Nunez replied. What’s strange is, Tom Kolman and Gil Nunez’s friendship continued. What’s even stranger is the affair continued, too. And, perhaps strangest of all, according to Nunez, both relationships grew even stronger. “You and Tom started getting closer?” Schlesinger asked. “Yeah. Tom and I came to a point where we would text a lot, like hundreds of texts every day,” said Nunez. The love triangle was news to the rest of the Kolman family, who did not learn about the affair until after Tom’s death. “Do you believe that he approved of this affair?” Schlesinger asked Marie Kolman. “That’s one of the hardest things for me to believe. And … Tom’s not here to tell us,” she replied. “People can say, you know, anything they want or feel whichever way they want. But he was truly my best friend,” said Nunez. Tom was not just Nunez’s friend, he was also his patient. And Nunez told police about Tom’s medical history in that interview three days after Tom’s death. Gil Nunez told detectives Tom suffered from sleep apnea that can cause people to stop breathing in their sleep. “It was something I share trying to help them to maybe help the medical examiner or something, figure out what could have happened to him, and, you know, if it was a heart attack, it was — or whatever the case might be,” Nunez told Schlesinger. In fact, the autopsy did note Tom suffered from an enlarged heart and mild obesity. But two weeks later, the toxicology report came back, finding midazolam in his body. “Did you use midazolam?” Schlesinger asked Nunez. “Oral surgeons that do sedation do, and there are some dentists that they — they specialize in sedation … But I never used midazolam,” Nunez replied. “This is a general practitioner office, we don’t use any sedation at all. We don’t even have nitrous oxide,” said McManus. “I’m not a chemistry guy, but in terms of that being a lot, no – volume wise, no. However, the effects are different on people that have medical condition,” said Det. Thomas. “The real question is, is that enough to kill a guy?” Schlesinger asked. “I think it is, yes, especially someone with sleep apnea. It could shut down his respiratory system,” said Det. Reavy. But remember, it was Nunez himself, who first alerted police to Tom’s sleep apnea. Gil Nunez to police: Sleep apnea always concerns me. Murray Weiss, who was a “48 Hours” consultant, has written about murder cases for decades. “There was obviously people, and that goes with every investigation,” said Det. Thomas. “People of interest,” added Lt. Berardi. So detectives also looked at other people in Tom’s life, including his wife, Linda, who worked at a local hospital. “How long was she looked at?” Schlesinger asked. “Quite some time,” said Det. Thomas. Police still couldn’t prove much about Tom Kolman’s death. How did that midazolam get into his body? If it was in a cup of coffee, where was the cup? Was that Gilberto Nunez’s white car next to Kolman’s in the surveillance tape? And why was Kolman’s body found this way? “His pants were undone and his fly was partially done — that looked kind of staged,” said Det. Reavy. Police were thinking Nunez staged the scene to make it look like Tom was having a sexual encounter when he died. “We looked at ’em both equally. Linda and Gil –” said Det. Reavy. By now, Nunez was their only suspect. Linda Kolman had passed a polygraph test. “Eventually we ruled Linda out,” said Det. Reavy. Linda and Tom’s Kolman’s house was never searched. A search of the hospital where Linda worked as an administrative assistant found no missing midazolam. So in February of 2012, two months after Tom’s death, police called Nunez in again. Police: We were just trying to get the background and – and have — from somebody that was close with him…. Police: I know you met with Tom at Planet Fitness early that morning. “And I kept saying I wasn’t there,” Nunez told Schlesinger. Gilberto Nunez: No, I wasn’t there. If I would have been there I would have said so. “This was the first time you’d heard that you were a suspect?” Schlesinger asked. Police: If I look you dead in the eye and tell you I know you were there. Gilberto Nunez: Then I’m telling you you don’t know, ’cause it’s not true. Police: I have you and your vehicle parked in the Planet Fitness parking lot with Tom that night. They also had surveillance video from local businesses showing what they say is his car driving on roads to the parking lot. Police: You parked next to him, OK? …you fed him something that killed him, to take him out of the picture, hoping you would have Linda for the rest of your life. Gilberto Nunez: No I did not. Police: Bulls–t. You’re a lying c———r. Nunez never wavered through nearly seven hours of questioning, willingly, without a lawyer. Gilberto Nunez: I was not there. “I didn’t think … that I needed an attorney to — just to speak, you know, the truth,” Nunez told Schlesinger. He quickly changed his mind when he found out that while he was being questioned, police were searching his office and home. Investigators seized the office computer and files, but what really caught their attention were two emergency medical kits. “And when you opened it up, what did you see?” Schlesinger asked Det. Reavy. “There’s two– two vials of midazolam,” he replied. Midazolam, the drug found in Tom’s body. The vials in Nunez’s office were full and unopened. And they did not have Nunez’s fingerprints on them. Neither did Tom’s car. In fact, when police examined it, there was no trace of Nunez whatsoever. “No outside DNA. Nothing absolutely out of the ordinary,” said Det. Thomas. Still, the police thought evidence against Nunez was piling up. They believe he wanted Linda Kolman all to himself. And Linda gave them a strange email she received months earlier—from Nunez’s mother, supposedly. “That was him claiming to be—his mother,” Det. Thomas said of the email. “Any idea why he would’ve sent a message pretending to be his mother?” Schlesinger asked. “To break up the Kolmans,” said Det. Reavy. “Why would you have posed as your mother?” Schlesinger asked Nunez. “I [laughs] just stupid things that we do in life. You know,” he replied. “Can I tell you, doctor, I’ve done a lot of stupid things in my life. I’ve never sent a text saying I was my mother trying to get a woman to fall in love with me—” Schlesinger noted. “No, I know, I — I understand that,” said Nunez. “So — was that manipulative? Was that obsessive?” Schlesinger pressed. “No, I think that probably was — looking into getting a closer relationship I guess between my mother and her,” said Nunez. Police also learned from Linda, that Nunez did something possibly even more preposterous. He gave her a letter, from what he described as his contacts inside the CIA, supposedly reporting on charges that Tom was having an affair. Police also found a fake CIA ID on Nunez’s computer. “That [laughs] was just like a stupid game. That’s all it was,” he said. But detectives say it was all part of an elaborate plan. They say Nunez hired a friend to pose as a CIA agent to presumably intimidate Tom. “Well, that never happened,” said Nunez. “That never happened?” Schlesinger asked. It made Nunez look wacky, but not necessarily guilty. “That doesn’t make me a murderer,” he pointed out. Police needed to prove that car in the parking lot next to Tom’s was Nunez’s. So, investigators hired Grant Fredericks. “When we’re looking at vehicles … We’re looking at physical characteristics … that we can compare,” he explained. Fredericks, of Forensic Video Solutions, has spent decades analyzing forensic video for law enforcement. Police had that surveillance footage from businesses along the road leading to the parking lot that showed a car they believed was the same one seen next to Tom Kolman’s. They could not find any video of a car leaving Nunez’s home. Still, they believe the car on the surveillance tapes was a Nissan Pathfinder that belonged to Gil Nunez. “And I’m looking though this to try to determine any features that would be consistent,” Fredericks said, showing Schlesinger a database comparing vehicles. Fredericks thinks he can identify the car caught on tape with the database. “Look at this, it’s like facial recognition,” Schlesinger commented to Fredericks of the database. “So I just visually stopped at the images we found. And this is a Pathfinder which is the same, make model and year of the Nunez vehicle,” Fredericks said. It might be a Nissan Pathfinder, but Fredericks could not say it was Nunez’s. His car had decals. It also had emergency lights inside the car because he was a volunteer fireman. “And you don’t see any of those on this surveillance,” said Schlesinger. But Fredericks did notice something he thought might be unique to the car on the surveillance tape: an unusual pool of light on the road coming from one of the headlights. “In most cases you’ll see two uniform headlight patterns from most vehicles — this was different,” he explained. Fredericks specializes in what is called headlight spread pattern analysis. He believes cars can be identified partly by their headlight beams. He needed to see if Nunez’s car projected the same kind of light pool as the car in the surveillance video. So police got Nunez’s car and videotaped it driving along the same route. Fredericks compared the headlight spread patter with the vehicle on the surveillance tapes. He compared two other Nissan Pathfinders to see if their headlights projected that same pool of light. They did not. And Fredericks feels he has enough to make a conclusion. It is bad for Nunez. “The science says that the vehicle is indistinguishable from Dr. Nunez’s vehicle,” said Fredericks. “For years … we only knew five percent of what they knew. They were convinced … that Gil was guilty, and at this point, I wasn’t,” said Jillian Kolman. “You were not?” Schlesinger asked. “Not really, no,” she replied. For four years Jillian Kolman didn’t know exactly what had happened to her father. The police weren’t sharing many details with the Kolman family. “I didn’t wanna push ’em because I didn’t wanna aggravate them,” said Tom Kolman Sr.
“How hard was it to be patient?” Schlesinger asked. “It was– it was very hard,” he replied. They’d all struggled with Tom’s loss, but his son, Bradley took it the hardest according to his mother, Michele Kolman-Weber. “And what happened next?” Schlesinger asked. “Three months later he committed suicide,” said Kolman-Weber. Bradley was just 18. The Kolmans were now coping with two deaths, but life went on for Gilberto Nunez. He continued working and dabbled in online dating, where on Match.com he met the woman who would become his new wife, Yameil. And then, what they feared would happen — happened. Just a year into their marriage, in October 2015, police arrested Gilberto Nunez and charged him with second-degree murder. He was also charged with forgery because of the fake CIA report and ID. Nunez retained top New York City criminal defense attorneys, Gerald Shargel and Evan Lipton of the law firm Winston & Strawn. They got Nunez out on $1 million bail. He had spent one month in jail. “We don’t believe Tom Kolman was murdered,” said Shargel. In May of 2016, four-and-a half years after Tom Kolman’s death, Gilberto Nunez’s trial began. Senior Assistant District Attorney Maryellen Albanese told the jury the only person who would want Tom Kolman dead is Gilberto Nunez. “This case is about obsession. …Gilberto Nunez was obsessed with Linda Kolman,” Albanese said in her opening. ” …he used deception and he used manipulation …to get Linda for himself. Shargel’s argument: Nunez had no reason to kill his best friend, who accepted the affair. “There was no bad blood between Tom and Gil, absolutely none,” Shargel told the court in his opening. And Tom died, Shargel says, of natural causes. “It may have been a heart attack because he had — an enlarged heart,” Shargel continued. But Tom did have midazolam in his body and police found those two unused vials of it in Dr. Nunez’s office. “Midazolam that was found was an amount that was too small … to cause anyone’s death,” Shargel told the jury. Except, the prosecution argues, it was enough to stop someone from breathing, if, like Tom, they had sleep apnea. But the D.A’s had no DNA or fingerprints tying Nunez to the car, so they had to rely on Grant Fredericks and his headlight spread pattern analysis. “The vehicle was consistent in shape, color, the same kind of vehicle. It had the pool of light and the timing matched perfectly,” Fredericks told Schlesinger. “They matched. It was — I remember sitting there thinking, ‘Oh my God, he – he — it’s true, he did it,” said Jillian Kolman. “It was a lotta hocus pocus and in my view junk science,” Shargel said of the headlight analysis. Nunez did not take the stand, but the woman in the middle of the love triangle did. Linda Kolman said she planned on staying with her husband and was working on their marriage. But emails Linda sent to Gil Nunez seem to tell a different story; that her marriage was crumbling and that Nunez was still very much in the picture. “Did you get the impression that she might break up with you after the holidays?” Schlesinger asked Nunez. “No, no, not at all,” he replied. In fact, just the day before Tom died, he and Nunez texted 62 times. Nunez says the texts were about a football game. Police recovered Tom’s phone the next day. And curiously, all the texts were missing. “Did you delete those texts?” Schlesinger asked Nunez. “Well, you know, you tell me. They touched the phones,” said Nunez. Police testified they were able to recover a few texts and they were just about the football game. And in an unexpected move, the last person the defense calls to the stand was the police supervisor who oversaw the case against Nunez. “I think they were trying to undermine the investigation. They were trying to undermine my oversight of the investigation– by things that we didn’t do,” said Lt. Berardi. One thing police didn’t do was look into an unopened email Tom received on the day he died. It was from an “adult” website called BeNaughty.com. “It was just a spam email basically,” said Det. Reavy. “If that had been followed up, I think that the investigation would have … taken a different direction,” said Shargel. “So you match BeNaughty.com with the way in which his body was found, reclined and with his pants open,” said Schlesinger. “Something wasn’t kosher,” said Shargel. “If their theory is going to be that he met a lady from BeNaughty.com that drove a white SUV and had access to midazolam at 5:30 in the morning at Planet Fitness – “said Det.Thomas. “They ought to start playing the lotto on that one if that’s the case,” added Lt. Berardi. Three weeks after the trial began it was time for closing arguments. “This investigation started and ended with Gilberto Nunez, and much about Thomas Kolman remains unknown,” Evan Lipton told jurors. “Ladies and gentlemen, this man Gilberto Nunez is not Thomas Kolman’s best friend… ” Albanese addressed the court. Prosecutors know they have only circumstantial evidence against Nunez, but they say it’s more than enough to convict. “The evidence … of the defendant’s guilt is overwhelming,” Albanese continued. With the case in the hands of the jury, Gilberto Nunez can do nothing but wait … knowing if he is convicted, it could mean life in prison. “I’m anxious and — I’m scared. I don’t wanna say I’m not scared,” he said. It’s the most important day of Gilberto Nunez’s life — the jury in his murder trial is deliberating. The rest of his life could be spent in prison if he’s convicted of killing his friend, Tom Kolman. “I get up in the morning, and I said to my wife, ‘you know, this might be the last time I sleep in my bed. We never know,” Nunez told Schlesinger. “It’s out of our hands. We hope the jury sees what we all see,” said Yamiel Nunez. After a four-year investigation, a three-week trial, and testimony from more than 50 witnesses, the jury reached a verdict in just six hours. “I was thinking — that’s a guilty verdict,” said Lt. Berardi. The verdict: not guilty of murder. Tom Kolman’s, wife, Linda, is livid, believing her former lover got away with murder. “Lying piece of s–t. Psychotic! Sociopath!” she yelled out as she left the courtroom. “You are officially, legally, not guilty of murder,” Schlesinger noted to Nunez. “Yes,” he replied. “I knew it that I was innocent, my family knew it … but knowing it, and then everybody now knows it. “So what are you going to do now?” Schlesinger asked. “Yes. I’m going back to what I love to do,” said Nunez. “So when you heard the verdict, what did you think?” Schlesinger asked the investigators. The Kolmans say the police did their jobs, but the jurors did not. “I felt like the jury betrayed us,” said Marie Kolman. “Justice was not done,” said Tom Kolman Sr.
“The words ‘not guilty’ haunt me,” said Jillian Kolman. The jurors say there were too many questions left unanswered – too much reasonable doubt. “What do you think caused his death?” Schlesinger asked. “A enlarged heart … which is a ticking time bomb,” Kwak replied. But the jury did find Nunez guilty of forgery, because of the fake CIA documents. “He was guilty,” said juror Michael Dougherty. “He was guilty. He did it,” said Kwak. For those convictions, Nunez is facing up to 14 years in prison. “Are you ready for that?” Schlesinger asked. “You know, we haven’t finished fighting,” Nunez replied. That’s because there were even more charges to come and potentially more prison time. While detectives were investigating Nunez for murder, they found what they believed to be a false insurance claim for $8,400 that Nunez filed in 2014. And they accused him of lying on an application for a pistol permit. The new charges meant two more trials for Nunez over the next year. “I’m scared about our future. I’m scared that he might go to prison. I’m scared for my children,” said Yamiel Nunez. He was found guilty in both trials and immediately taken into custody. In February of 2017 — nearly eight months after he was acquitted of murder — Nunez was sentenced for those forgery, insurance fraud, and perjury convictions. “Society deserves protection from his sociopath, narcissistic behavior,” Prosecutor Maryellen Albanese told the court. Prosecutor Albanese argued for the maximum sentence –25 years — while Nunez’s attorneys fought for leniency, presenting the judge with 130 letters from Dr. Nunez’s supporters, friends and former patients. But Judge Donald Williams was unmoved. Nunez” sentence: two-and-a third to seven years in prison. For the Kolman family, there is some comfort in knowing that – even though Gilberto Nunez was not convicted of murder – he will spend time behind bars. “We’ve disrupted his life now,” said Michele Kolman-Weber. “We’re just trying to get through it. Nothing’s ever gonna bring Tom back. Or Bradley,” said Marie Kolman. And that is what Tom’s daughter, Jillian, can never forget. She is now a college student facing a life that has seen tremendous pain, but still holds tremendous promise. As part of Gilberto Nunez’s sentence, he was ordered to have no communication with Linda Kolman. In May 2018, Nunez was granted parole.His earliest release date is Sept. 10, 2018. A New York State review board revoked Nunez’s license to practice dentistry.